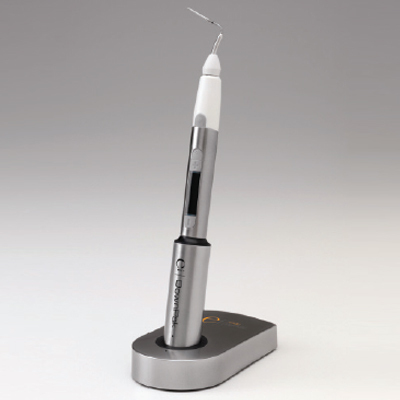 The DownPak obturation device from Endo Ingenuity is a cordless, handheld device for heating and compacting gutta percha and other thermoplastic filling materials for root canal obturation. The device is fully compatible with standard obturation techniques and is proven effective for downpack obturation of the root canal system. It provides the choices of using heat only, or both heat and vibration during the filling material downpacking process.